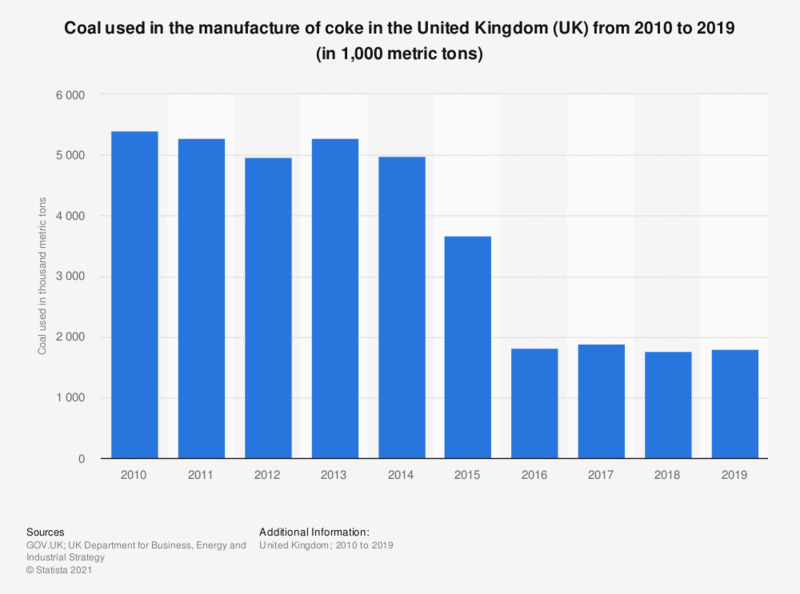 This statistic shows the amount of coal used in the manufacture coke in the United Kingdom (UK) from 2010 to 2017, in thousand metric tons. The amount of coal used in the manufacture of coke decreased from 2010 to 2016, with approximately 1.8 million metric tons used in 2016. However, this increased the following year.